It's Isle of Skye, this particular place is called "Quiraing". 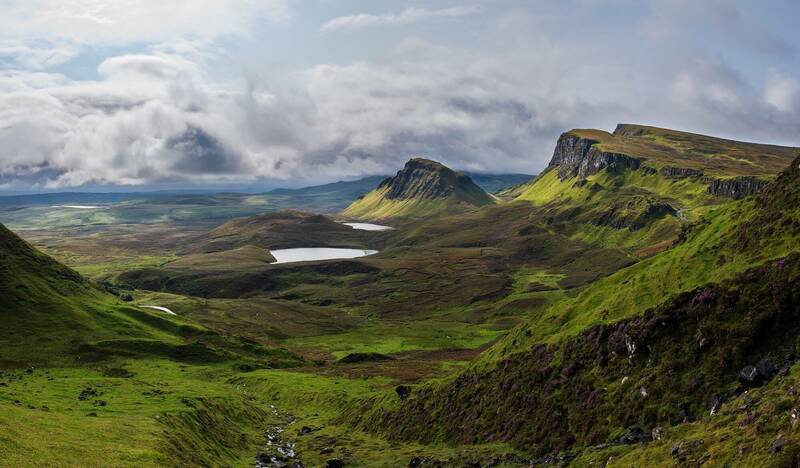 Isle of Skye is one of the most beautiful places on Earth. This is a handheld panorama of Quiraing taken with a small Fuji x100t during hiking.